We recently covered when it’s smart to retake the LSAT. Since the LSAT is the most important part of your application, you want to apply with the best score you can. But as we all know, it’s not fun to commit another round of studying to a test that you planned to be done with already. While there are some strong reasons to retake the test, there are also a number of reasons to not retake the LSAT and focus instead on other parts of your application. A retake will require you to apply late. In many cases, it will be to your advantage to apply early in the admissions cycle. If you’re a borderline candidate, every other piece of your application is outstanding, and retaking the LSAT would put you on the later end of the admissions cycle, think about whether the disadvantage of your timing will negate the benefits of another few points. 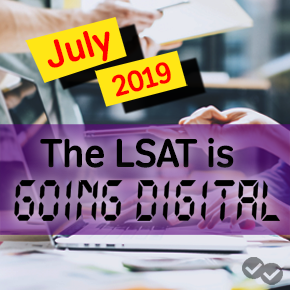 Note that “applying late” does not mean the same thing as “applying later.” If you took the LSAT in June and planned to apply to law school in September, it’s not too late to retake the test in October and simply apply later in the fall. However, if you took the LSAT in December, retaking a February LSAT will put you in the disadvantaged “late” category. You scored around median for schools of interest. Take a look at the schools that you’re interested in attending and look at how your LSAT score stacks up. Yes, while wisdom tells us that it’s best to be at or above a school’s 75th percentile to maximize chances of admission, that’s not necessary. After all, the vast majority of the class will be below the 75th percentile. If your score already falls within schools’ 25th to 75th percentiles, don’t stress yourself out with a retake. You already scored a 170+. Some of you out there are striving for perfection. But you know what? You don’t need to get a perfect 180 score to get into a great law school. Scoring a 170+ will make you a competitive candidate at any top law school, and earning just one or two more points when you’re already in this range doesn’t necessarily warrant the amount of effort it will take. There’s also always a chance that your performance will decrease the second time around, since you already have a score that’s within the top 3% of all test takers. There’s an excellent LSAC study that reveals average score changes over multiple takes of the exam. While the average score change for a second attempt is +3, slightly less than half the population scores lower on their second attempt than on their first. You fully committed to round 1. When deciding whether to retake the LSAT, be honest with yourself about your commitment to studying in round 1. 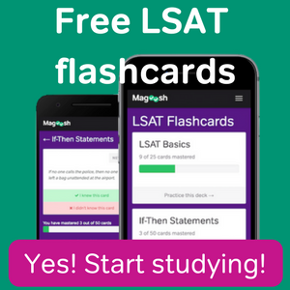 If you already gave it your all, spent all of your nights and weekends hitting the books, went through every practice test, and hit your practice test average on test day, retaking the LSAT will probably not benefit you. After all, there’s not much in your study strategy that you would want to change if you’ve already committed your all. Instead of putting your energy into a retake, put that focus into sharpening other components of your application.